Rick Howard and Mike Carroll are looking for you to get creative and help them make a new shirt design to be featured as part of an upcoming Lakai release. 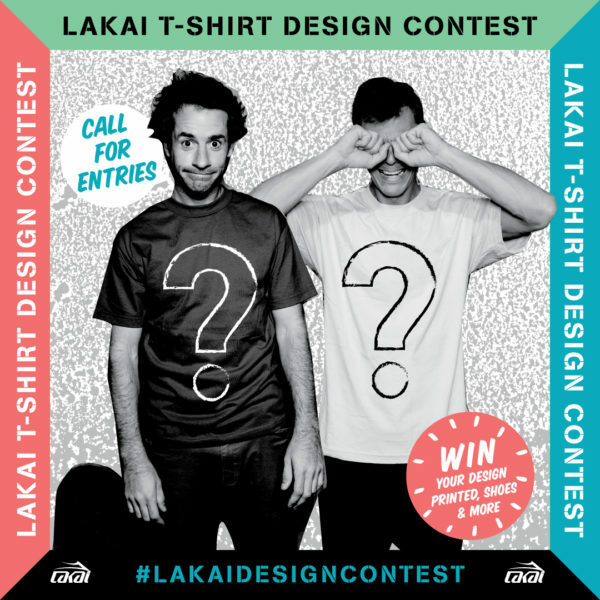 Simply hashtag your submission #LakaiDesignContest on Insta or Twitter by Friday 10/14 and you’ll be entered! In addition, 3 runner ups will also receive a pair of Lakai Shoes.